The commonly reported failure mechanism in the outlet pigtails is inter-granular oxidation cracking, due to the combination of creep, oxidation. This mechanism involves interaction of mechanical fatigue, high temperature creep, diffusion of carbon and chromium, and high temperature oxidation. 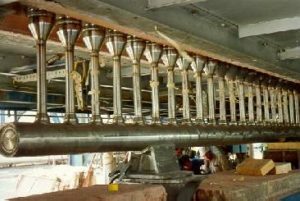 Mechanical fatigue is due to the repeated expansion and contraction of both tubes and headers that occur during both on-stream and transient periods. 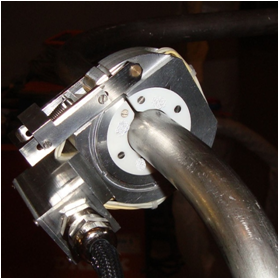 For testing from the external surface, the complete unit will be moved by hand allowing the passage from the bottom of the pigtail to the top of the pigtail assuring a fast and reliable inspection. We’re performing a 360° inspection on the entire accessible length of each pigtail.